The following extracts are from George Longden’s report to the KRIV project …. Ingersley Vale Mill … by 1878 (27) the long occupation of the mill by the bleaching and finishing firm dominated by members of the King family had begun. The firm appears as Bates and King in 1878 (27) and 1883 (33); William King & Co in 1887-8 (25); and A.J. King & Co from 1892 (44). The firm became part of the Bleachers’ Combine around 1900, but retained its name and management. A.J. 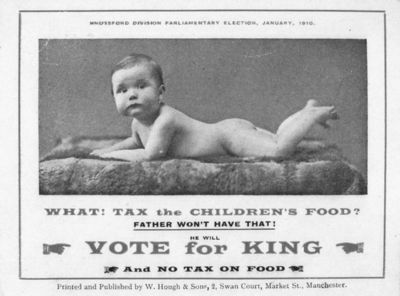 King lived at Limefield (1898) and became a progressive Liberal member of the Bollington Urban District Council, and played an important role in the completion of the waterworks scheme and in instigating a drainage scheme with a sewage works for the village. 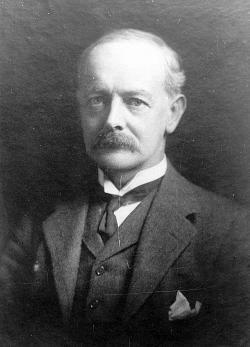 He represented Bollington on the Cheshire County Council from 1901 to 1906, and from 1906 to 1910 was Liberal MP for the Knutsford Division [which then included Bollington. See election poster left]. After electoral defeat in 1910, he and his family moved to Windermere, where they were visited from time to time by parties of workers from Ingersley Vale (48, p33). See Ingersley Vale mill for an A. J. King & Co Ltd document. 1 Kerridge Ridge & Ingersley Vale, An Historical Study, George Longden, 2002.